Worldwide distribution: Widespread and common throughout the Americas, Europe, Asia, Northern Africa and Australia. Habitat: Grow on deciduous trees. Foraging season: All year round, best in late autumn and winter. These are readily available in the supermarket aisles, often included as part of the (misleading) ‘wild mushrooms’ packets. The truly wild species can be quite variable and more often than not, they look entirely different. Oyster mushrooms are sought-after species with an exquisite meaty texture that makes them perfect for grilling and stir frying, thus offering a solid vegan alternative to meat dishes. 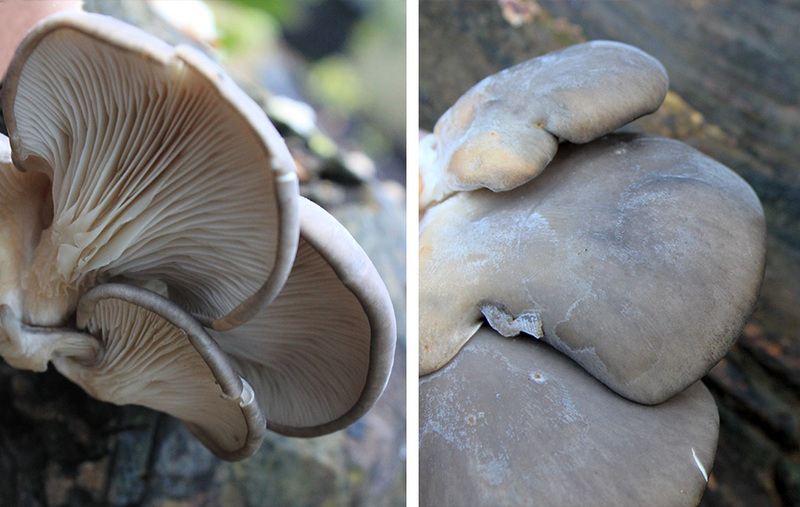 They are easily recognised because the mushrooms grow in a shelf-like formation with overlapping clusters and have smooth shell-shaped caps. They are relatively large in size and come in shades of grey, while other related species can also be found on yellowish and pinkish tones. 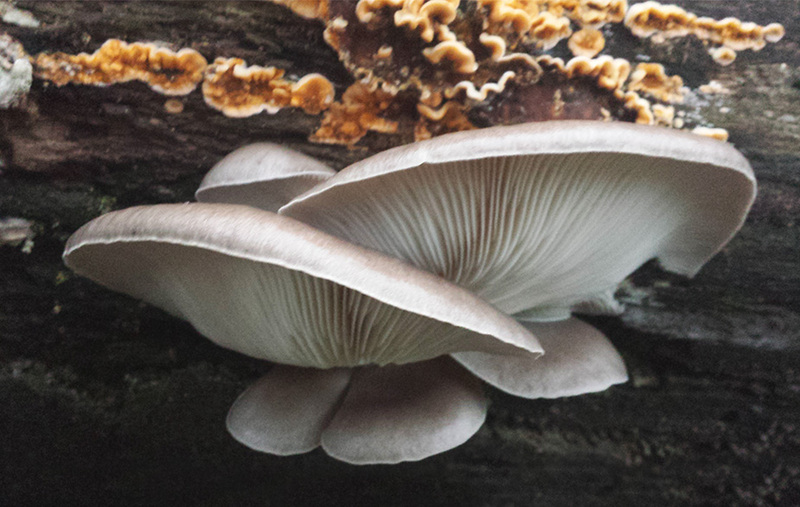 Oyster mushrooms are delicate and have a mild sweet aniseed aroma. 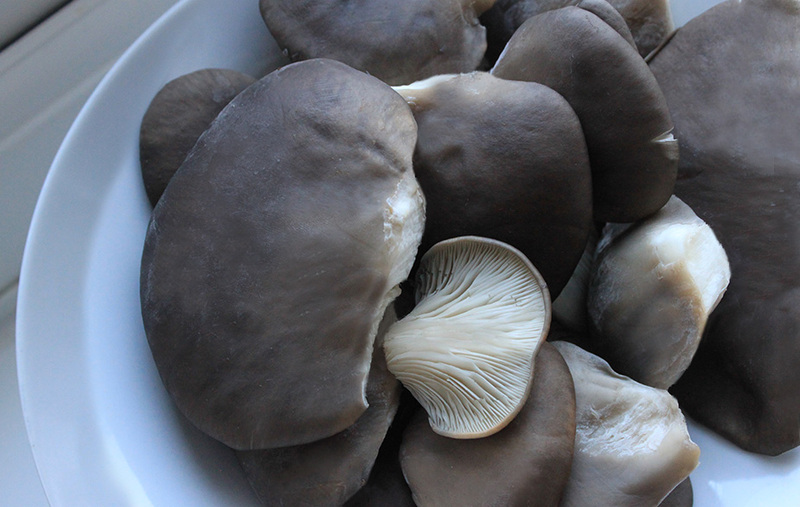 It’s a versatile mushroom that goes well in many dishes, ranging from Oriental stir fries to Eastern European soups and stews but they also work really well in light cream sauces for meat.